A West Virginia high school administrator accused of bullying a transgender student has lost his job – but now he’s trying to get it back. 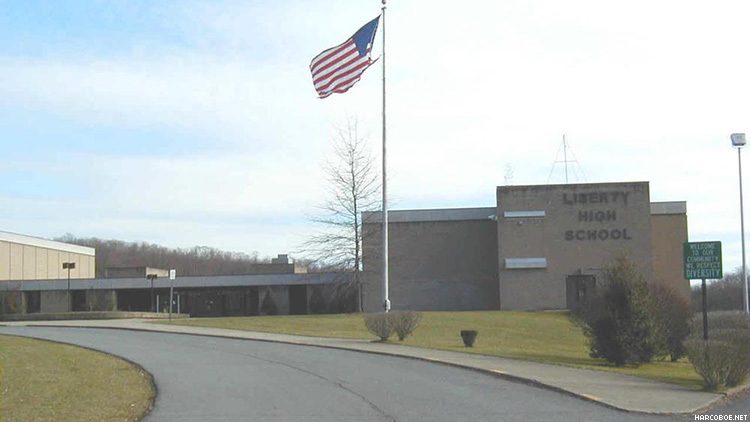 Lee Livengood, assistant principal at Liberty High School in Clarksburg, was accused of harassing transgender student Michael Critchfield in a boys’ restroom last November, just as Critchfield was about to leave on a band trip. He was in a stall when Livengood entered the restroom to see if anyone was in there, and when he came out, the assistant principal confronted him. “He kept asking me why I was in there. [He said] I shouldn’t be in there because I am not a guy, and I told him I am a boy, I identify with this bathroom, and it is my legal right to use this restroom,” Critchfield told West Virginia’s Metro News in December. He said Livengood eventually challenged him to use a urinal to prove he was male. “He was blocking the doorway so I couldn’t get out because if I tried to get out through the doorway he was in front of, he could’ve said that I hit him or something and got me in more trouble,” Critchfield said. “I was barricaded in the bathroom for three or four minutes, and then a band mom was coming down complaining that they could hear Mr. Livengood yelling at me in the bathroom from the cafeteria, from the hallways, and some could hear it from the band room, so she came down to see what was wrong.” Later Livengood told him, “You freak me out,” in front of other students and a chaperone, Critchfield said. Critchfield, with the help of the American Civil Liberties Union’s West Virginia affiliate, complained to school authorities. The Harrison County Board of Education suspended Livengood without pay in January, then reinstated him in February. Livengood also sent Critchfield a letter of apology in January. Last week, however, the board voted not to renew his contract, which expires June 30. Now attorney Alex Shook, representing Livengood, has sent a letter to Mark Manchin, the superintendent of Harrison County schools, asking the board to reconsider, The Dominion Post of Morgantown, W.Va., reports. Shook said three faculty members who heard all or part of Livengood’s exchange with Critchfield did not hear him say anything that could be considered derogatory or bullying. He also said Livengood did not know the teen was transgender or that he had permission to use the boys’ restroom. “It clearly set Mr. Livengood to be the fall guy rather than shed light on the fact that there was a serious lack of communication within the administration, and that the board lacked a coherent and consistent policy for transgender students,” Shook said in his letter, according to The Dominion Post. Manchin told the paper he has received the letter and that he and the board are considering how to respond. He said a nonrenewal of a contract is different from firing; Livengood was under a probationary contract, which the board can decline to renew without cause. Manchin, by the way, is a cousin of U.S. Sen. Joe Manchin of West Virginia – the only Senate Democrat not to sign on as a sponsor of the Equality Act, the recently introduced LGBTQ civil rights bill. The senator has said it does not provide sufficient guidance to schools on how to deal with transgender students.